Ubuntu 12.04 is a LTS (Long Term Support) release, for desktop as well as server edition. Just after a fresh install of Ubuntu 12.04, you need to install few things to get everything running, atleast for common tasks (you may find my previous post useful – things to do after a fresh install of Ubuntu 12.04). But, remember if you want to develop Java Applications then you need more (JDK, Docs etc) than just a JRE. 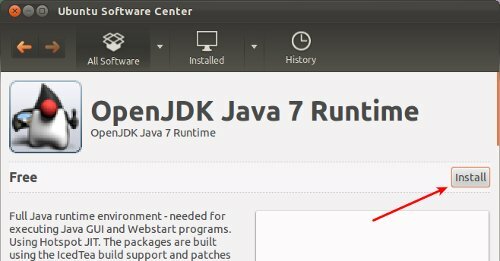 So checkout this post – Install JDK on Ubuntu 12.04 if you want full development environment rather then just the run time environment. If you’re using Ubuntu 11.10 (oneiric ocelot) beta1 (released on the first of this month), then first install some basic applications – if you want a list then go here – I’ve already covered in a post – 10 things to do after fresh installation of Ubuntu 11.10. 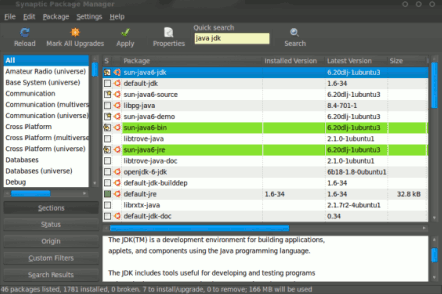 Anyway, in this post you will learn how to install Java Run time Environment (commonly called as JRE) on Ubuntu 11.10. Java is one of the most popular programming languages , so probably you would be running a lot of software written in Java i.e Java Runtime environment (includes JVM – Java Virtual Machines – which translate java bytecodes into native – executable machine codes, and so JVM makes the Java programs platform independent) is required if you want to run applications/programs that is developed using Java. Additionally – if you want to run applet programs (java applets – small programs that runs in a browser) then you will have to install a plugin for that. install Java for browser – firefox/chrome..
JAVA is now the most widely used programming language for creating applications for web,gadgets,business…So you may want to install JRE(Java Runtime Environment) on your ubuntu 10.04 LTS for compiling and running JAVA based application. It will automatically install other dependencies. First,search for JDK/java and select the package openjdk-6-jdk by marking for installation.It will ask you to mark some extra dependent softwares for installation,just click ok.Then click on Apply to start the download and installation process.Wait for few minutes until the downloading process will complete and installation will begin.JDK will be installed within few moments.In middle of the installation it will ask you to accept license terms for JRE,check the box to accept the license terms.You are now ready to use Java Development Kit(JDK) for creating java applications.